Ranger-Dyan Reaveley's Dylusions Mounted Stamp. Transform any project in a matter of minutes! Dyan Reaveley stamps can be used on almost any project from scrapbooking and cardmaking to school projects to home decor. 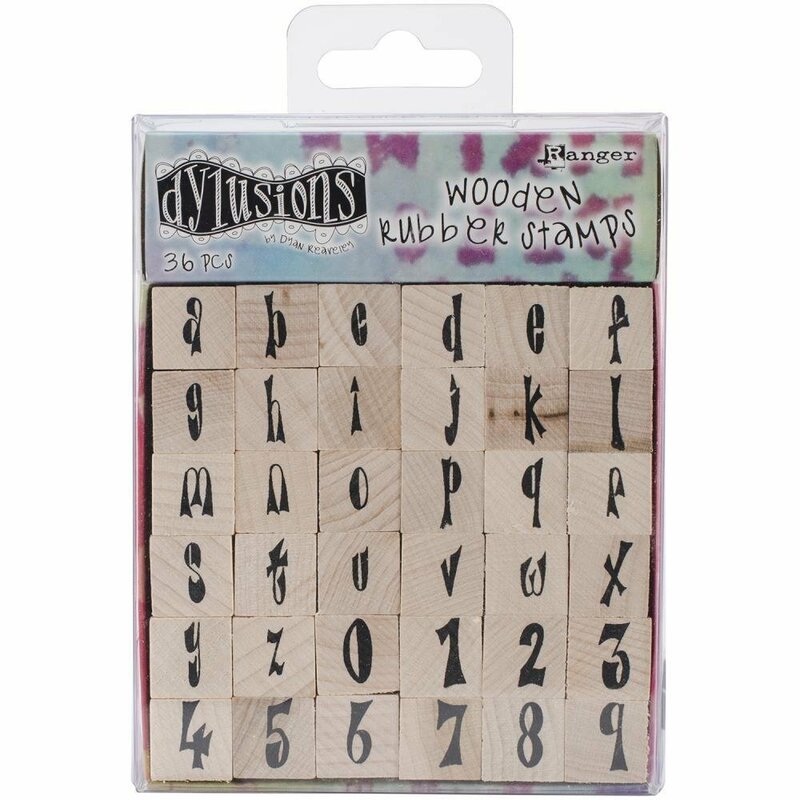 Alphabet Set: thirty-six rubber stamps mounted on 1/2x1/2 inch wooden blocks.